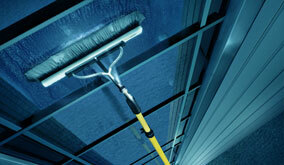 Our residential and commercial pressure washing and steam cleaning company services the entire Gilbert metro area. Call us today for a free pressure washing quote! 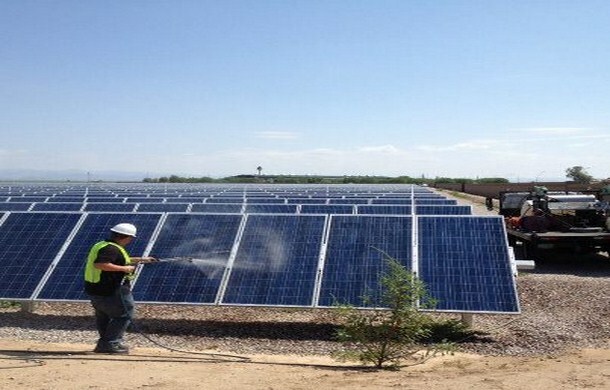 AZ Window Cleaners is Gilbert, Arizona's first choice for solar panel cleaning services. Adding solar panel to your property seems to make sense in Gilbert, since we experience so much sunshine throughout the year. Solar panels are a great investment to save on you energy consumption and reducing your foot print on the earth. Living in Gilbert we regularly experience a few large dust storms per year and naturally have higher amount of dust in our atmosphere. This dust will continue to settle on your solar panels and eventually can reduce the efficiency by blocking out sunlight from the solar panels. With regular solar panel cleaning maintenance at your Gilbert property you can make sure that your solar panels are running at optimum efficiency. AZ window cleaners have cleaned thousands of solar panels in Gilbert, helping solar panels generate the most amount of clean energy possible. 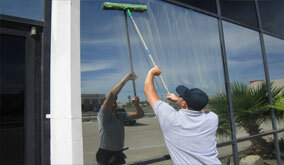 We are Gilbert, Arizona's first choice for residential window cleaning services. Call today for a quote!